Monday or Friday departures from Heathrow or Manchester, Newcastle, Glasgow or Edinburgh via Heathrow (operates all year round). For centuries travellers have been fascinated by the mystical allure of the Nile. 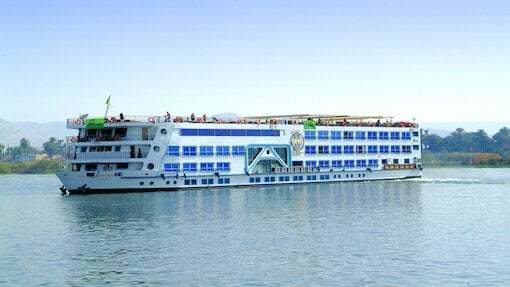 A relaxing cruise in luxurious surroundings, alongside Egypts many archaeological wonders, provides the perfect combination for an unforgettable holiday.Our Classic Nile Itinerary takes you from Luxor to Aswan, visiting some of the most spectacular ancient sites in the world including the stunning Valley of the Kings, the burial place of the Pharoahs including that Tutankhamen and the breathtaking temples and Luxor. After an early breakfast, visit the West Bank including the Colossi of Memnon, Valley of the Kings and the Valley of the Queens, burial sites for many of the most powerful and successful pharaohs and high priests. The Temple of Hatshepsut and Medinet Habu Temple. After lunch we visit the world's largest greatest open air museum known as Karnak, which covers a large area of land and includes several temples, the largest of them being the Temple of Amun. Early afternoon the boat will sail to Esna. Overnight at Esna. Optional early morning visit to Abu Simbel (priced at approx £85 pp by road or £210 pp by air), the impressive site built by Rameses II to show his strength and power. Abu Simbel stands on the bank of Lake Nasser. After lunch on board, you will be transferred to an Aswan airport for your internal flight to Cairo. 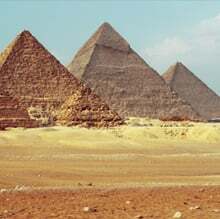 On arrival you will be met and transferred to the hotel of your choice in Cairo for your stay. Transfer to Cairo airport for the return flight home.